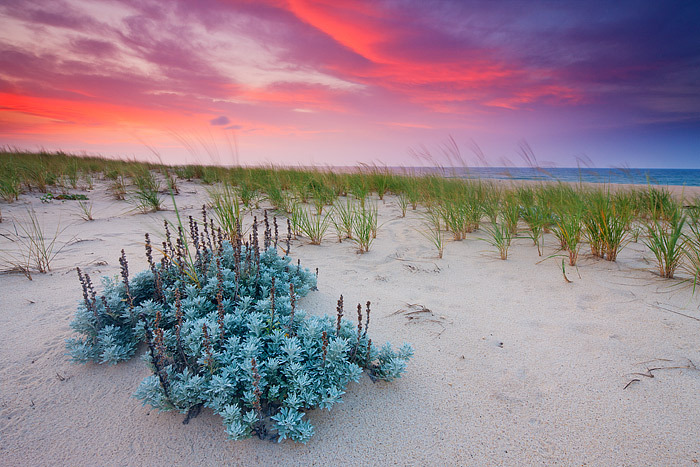 A spectacular sunrise unfolds along the dune breaks of Dune Beach in Southampton, New York. It had been a stormy few days on the east end, but there was enough of a break in the cloud cover this morning to illuminate the clouds over the Atlantic Ocean a beautiful red and magenta. Photo © copyright by Thomas Mangan.